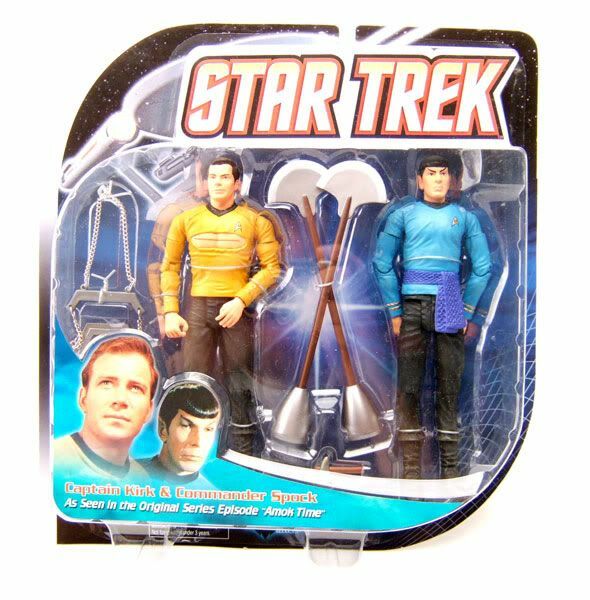 Spock was released by Diamond Select Toys as part of an "Amok Time" 2-pack which also featured a 'battle-damaged' Kirk. The chest/ shirt sculpt is all one solid piece instead of a rubber shirt with articulation hidden beneath it. 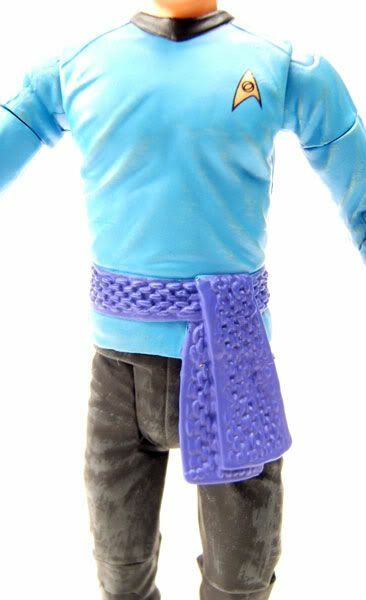 While you lose torso articulation, you gain the longevity that this material will have over the rubber. Holding this figure in my hands makes me really wish Diamond would have taken the time to make all the crew reissues the same way instead of just doing the rubber shirts again. The rest of the body is just reused parts. That's not a bad thing as the original sculpt was great. The right leg does seem a bit more bowed in than the original release though, so that's something you may want to watch out for if you haven't picked this pack up yet. 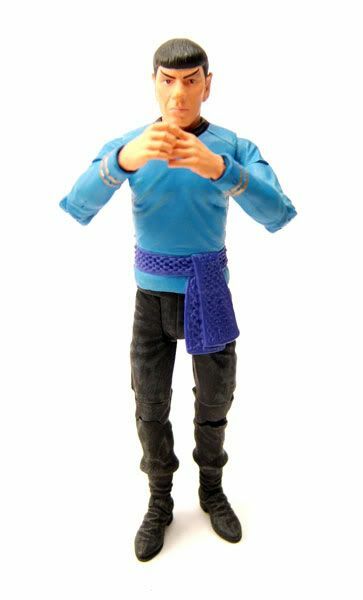 The paint apps on the figure are especially nice, with a nice 'dust' layering the paints and shirt. The only nitpick I have is on the face paint. The paint seems a little thicker than that used on the original figure and it gives the head an almost animated look. Plus, the went with a much more pink color as opposed to the original's somewhat olive color. 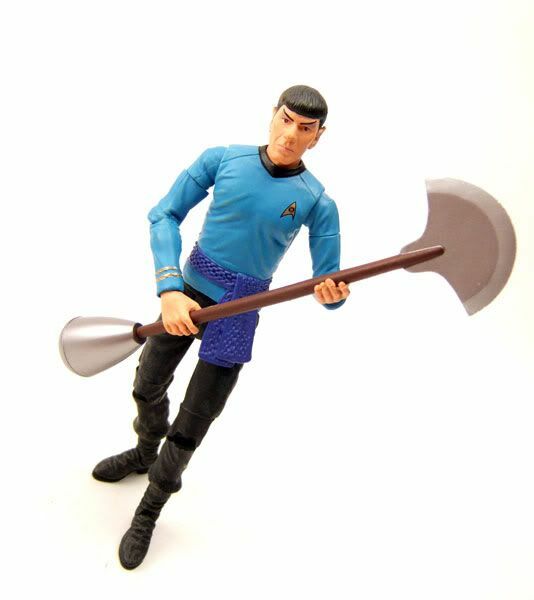 It's just a bit too pink for Spock in my opinion. Still, not enough to say the figure is bad in any way. 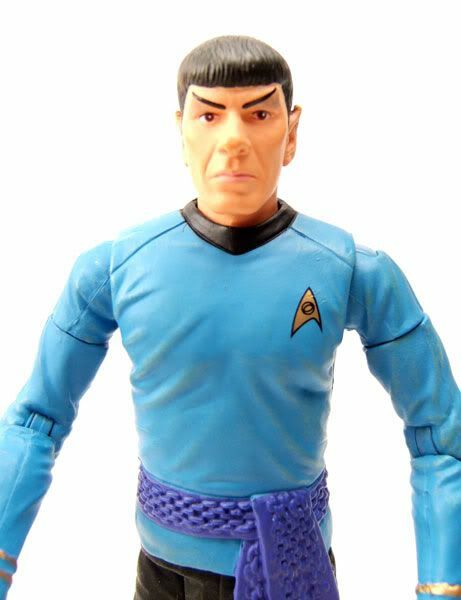 It's a great Spock from a great episode. 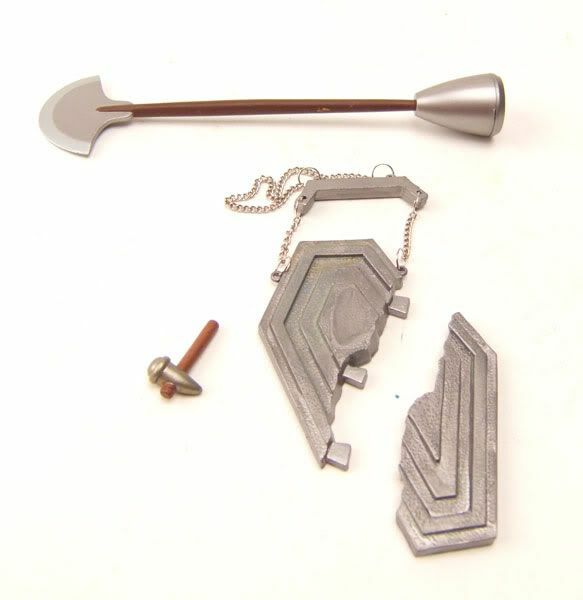 Accessories: The accessories on this set are really nice. 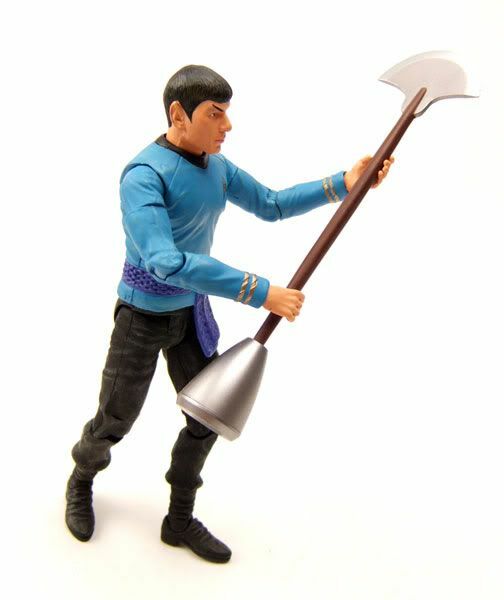 Spock comes with his lirpa, a Vulcan gong that can split apart, and the small vulcan hammer to strike the gong. 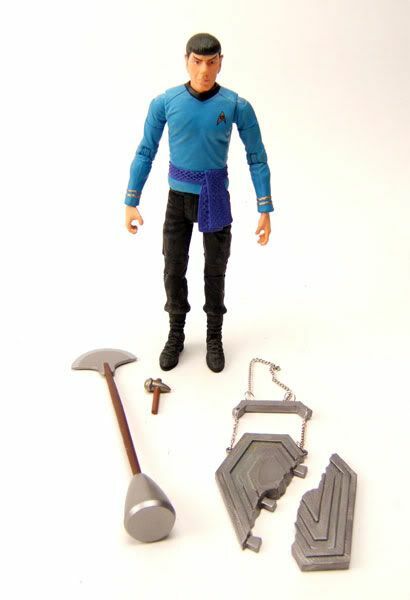 The vulcan gong and hammer were a real surprise to me since they weren't pictured in any of the publicity shots for the set. I got these and like them a lot. I still miss the waist articulation though.